The NRS Men's Grizzly HydroSkin® 0.5 Jacket is a versatile, immersible layer built with extra girth for the larger boater. Stretchy 0.5 neoprene offers additional warmth without the bulk and the zippered entry makes the HydroSkin jacket easy to take on and off as the conditions change. Four-way-stretch PowerSpan™ exterior allows unparalleled range of motion and soft ThermalPlush™ lining delivers extra comfort. 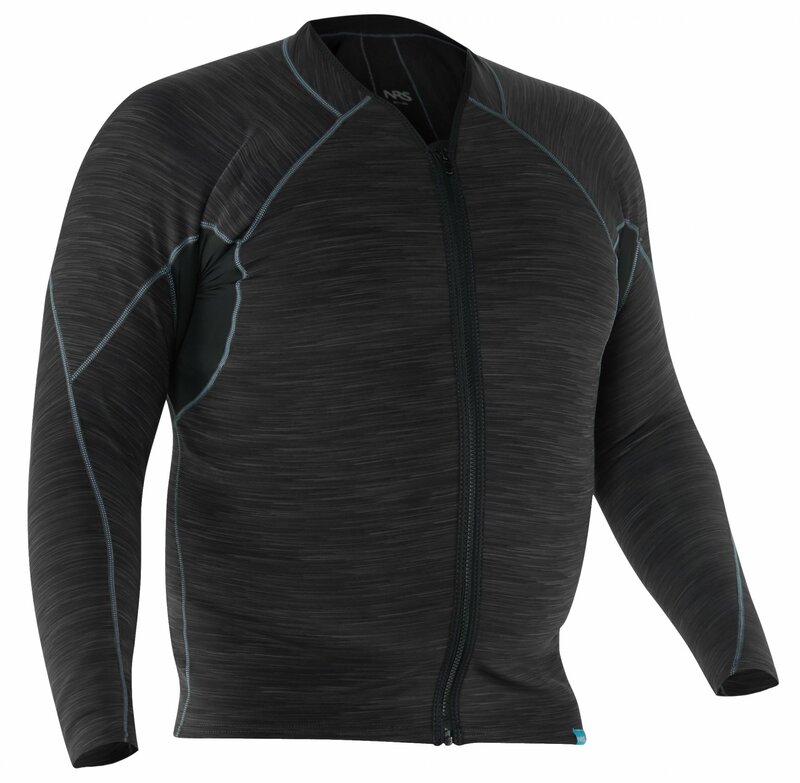 0.5 mm Terraprene™ neoprene with heat-reflecting titanium locks in your body's warmth. Underarm panels feature H2Core Rashguard material for friction-free strokes and chafe-free comfort. Form fit restricts water entry and intensifies the insulation properties. Waterproof YKK® front zipper for quick ventilation and easy on and off. Weight: Size G-L is 1.4 lbs.